This elegant and superbly refurbished historic guest home is in an exclusive neighborhood of historic downtown Charleston and is available by day, week or month. The 200 year old two bedroom guest home is on half an acre in a quiet but centrally located residential street in downtown Charleston, SC. 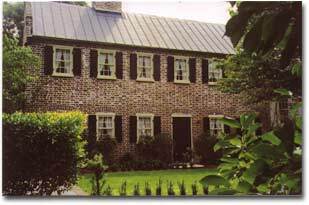 The Charlotte Street Cottage makes for the perfect vacation rental for your visit to South Carolina. This and other Charleston, Bed and Breakfast Inns can be found here in The Register.